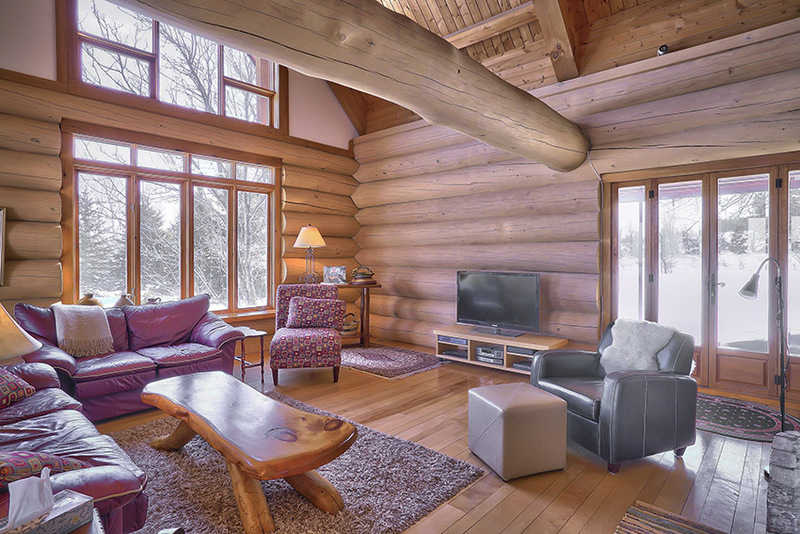 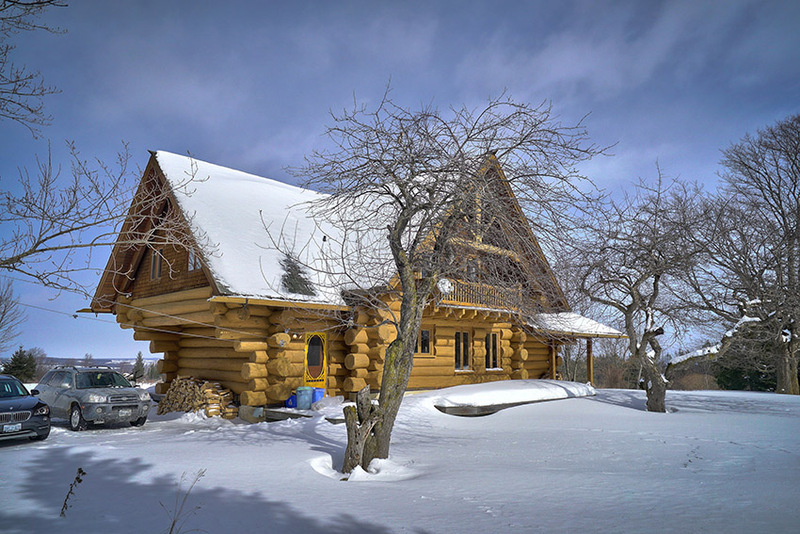 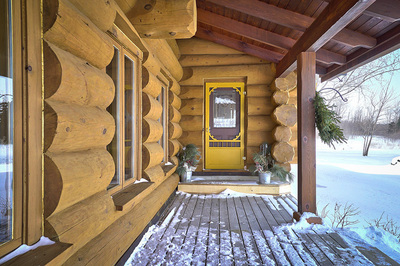 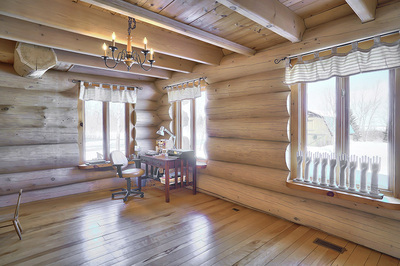 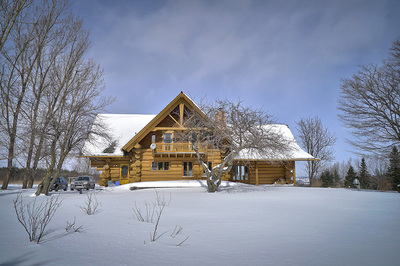 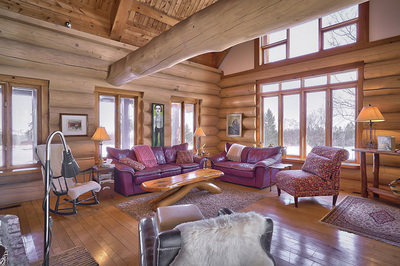 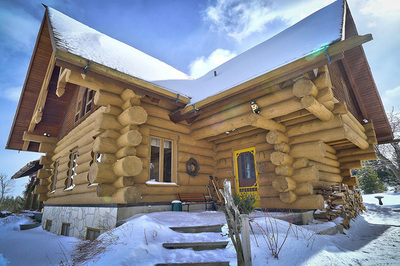 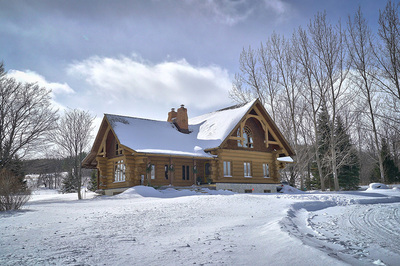 Creemore Hills: Handcrafted Scandinavian style Log Home with panoramic views over Creemore Valley to Georgian Bay and beyond. 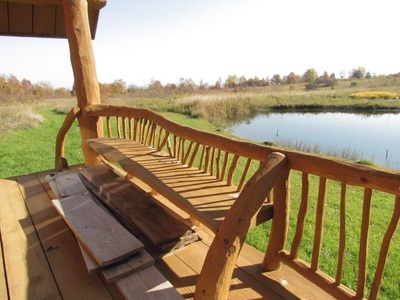 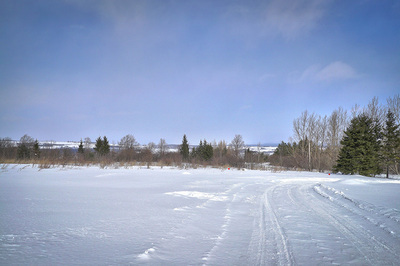 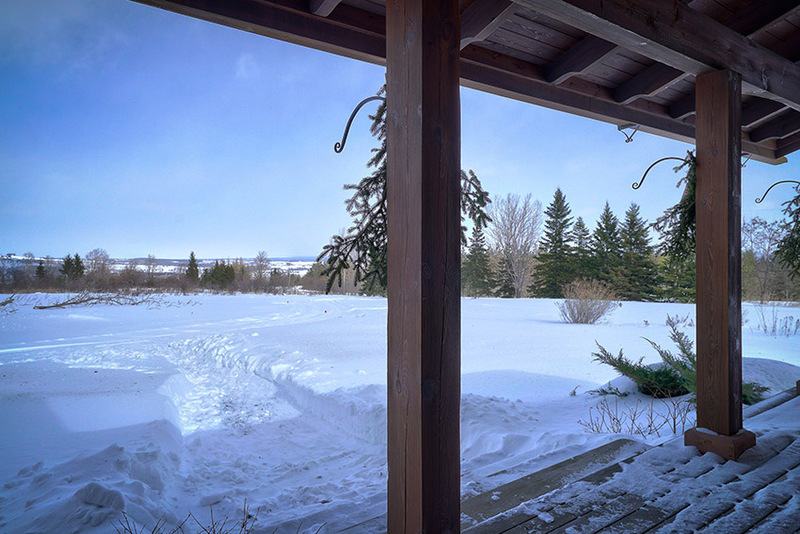 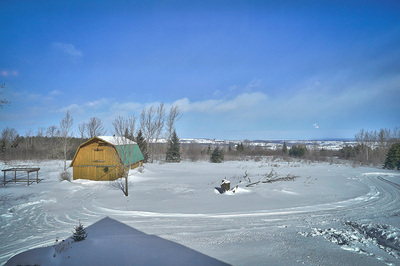 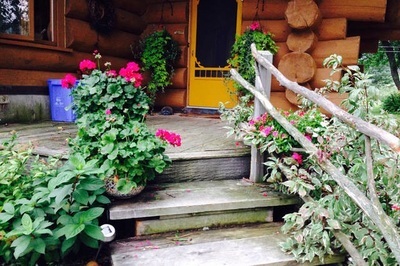 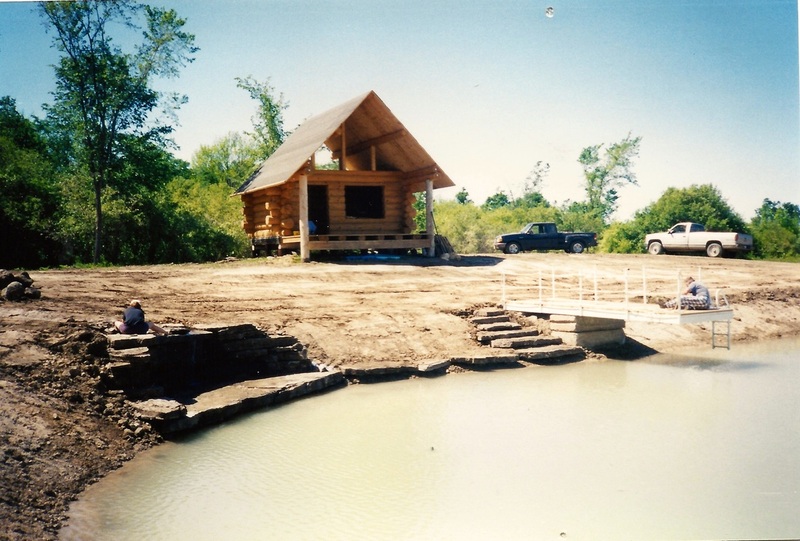 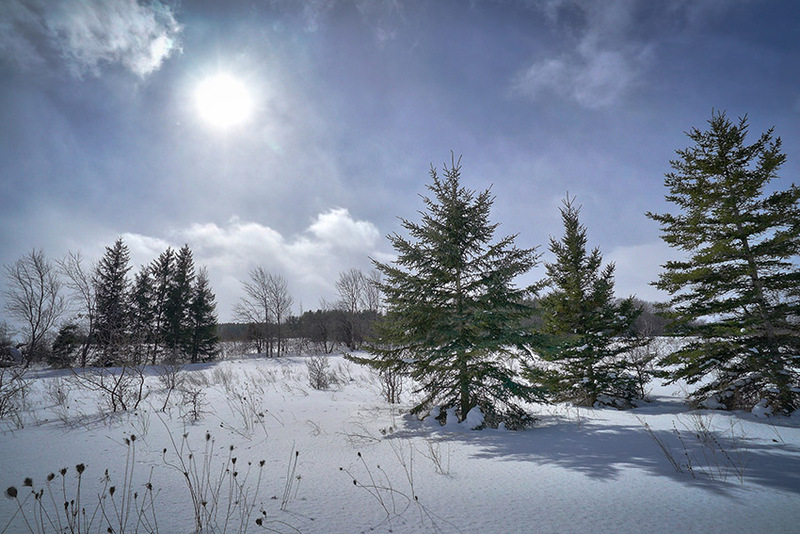 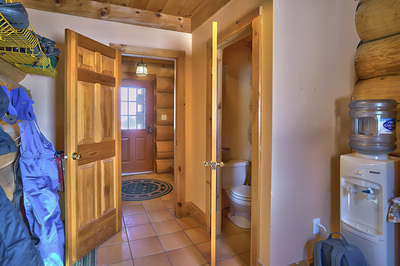 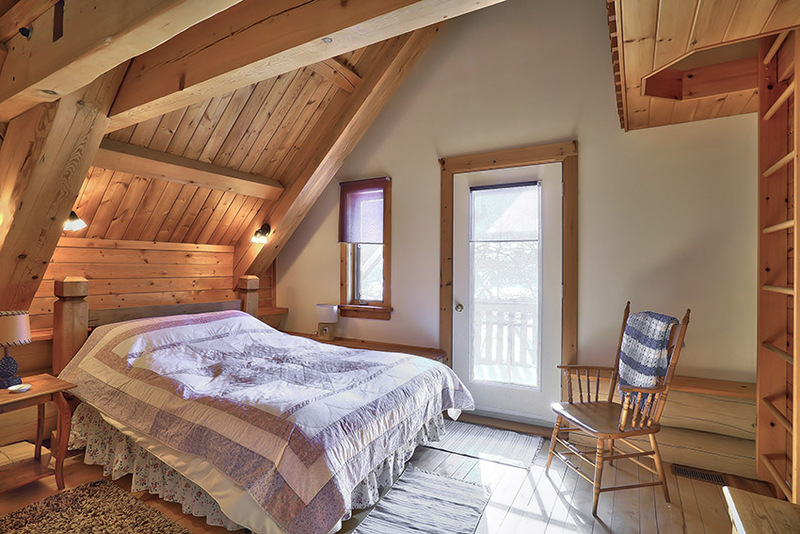 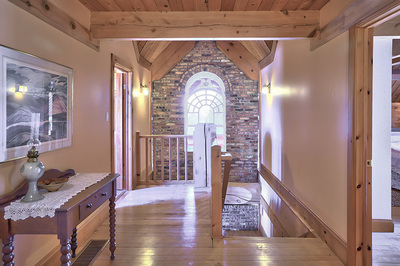 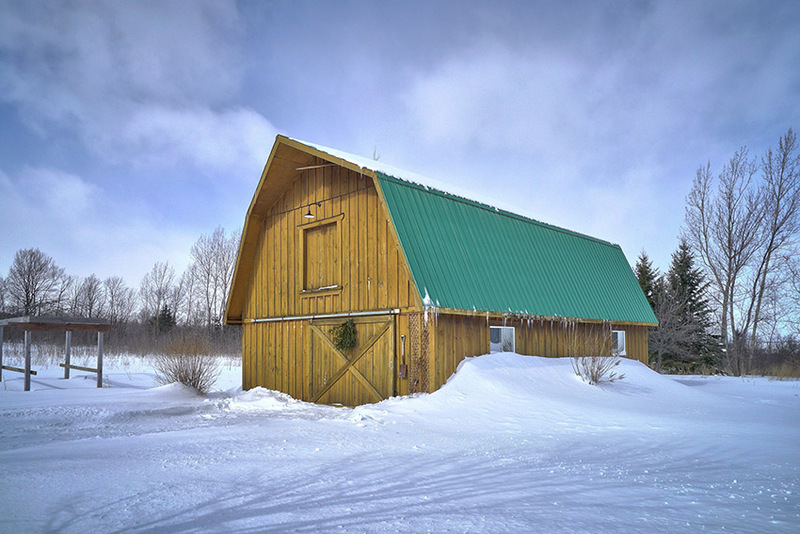 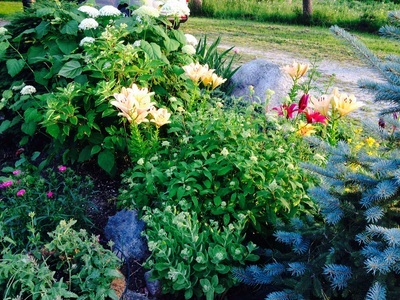 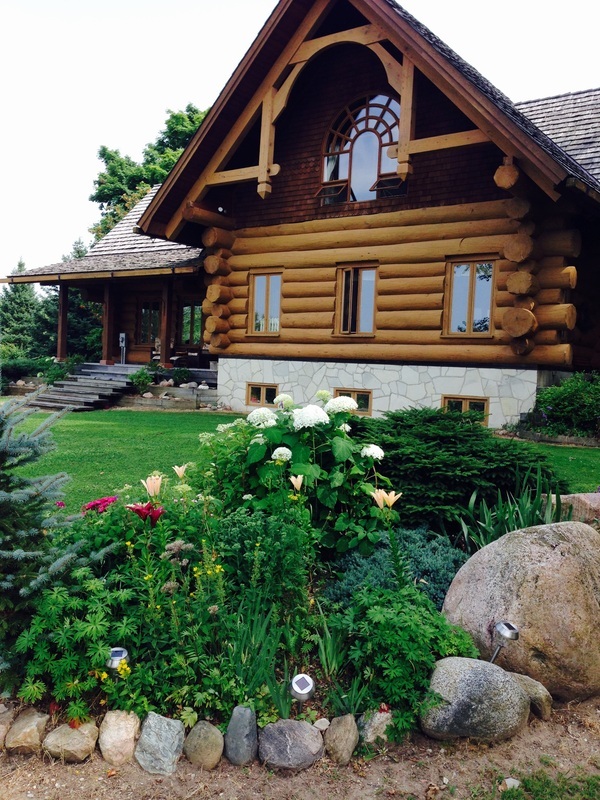 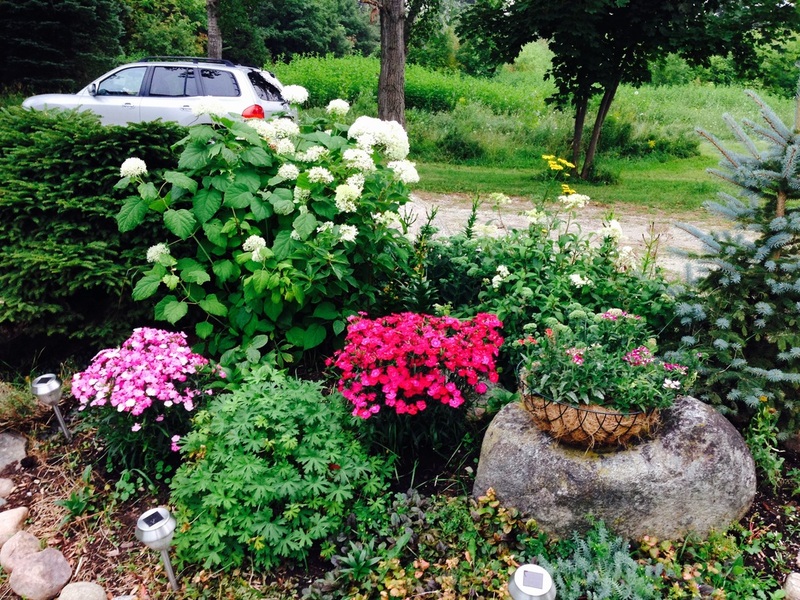 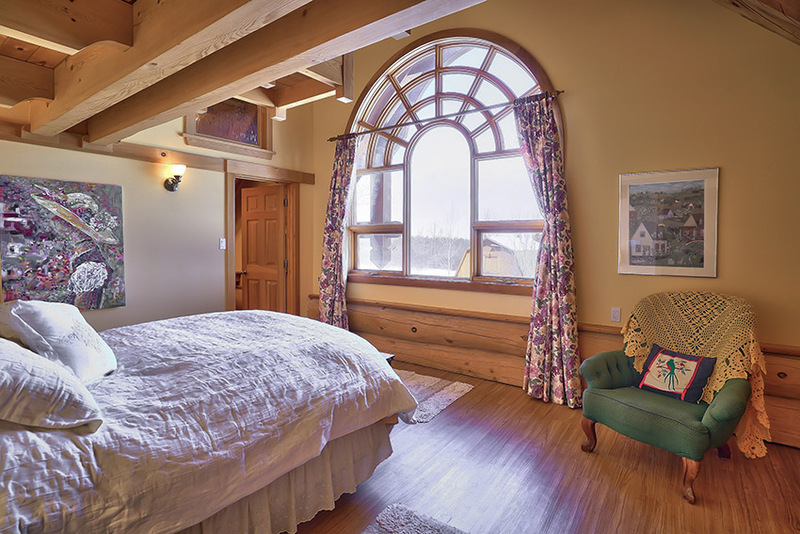 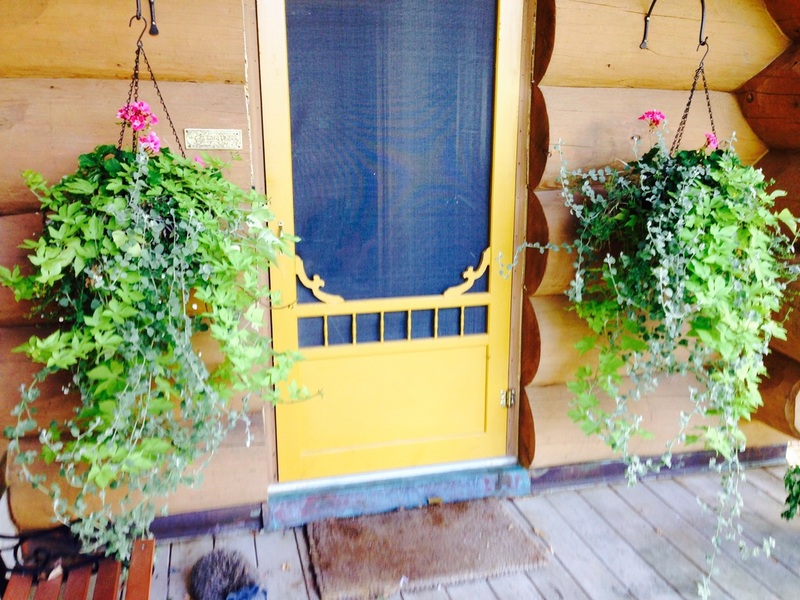 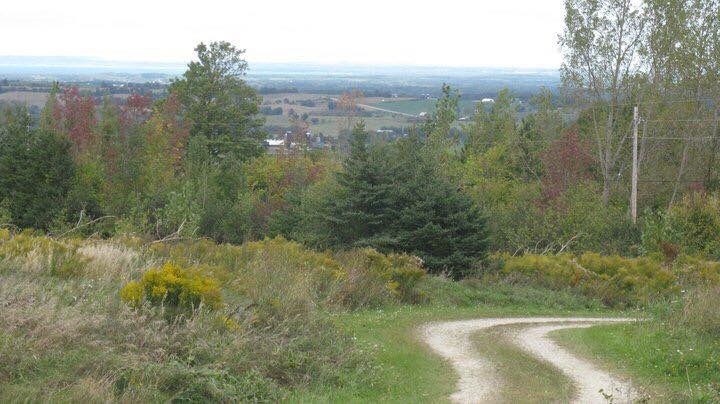 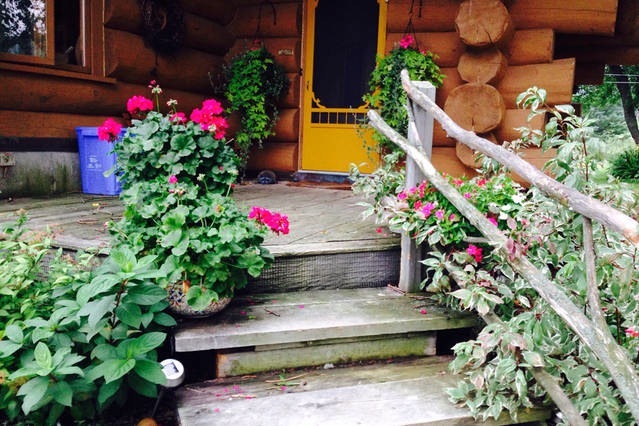 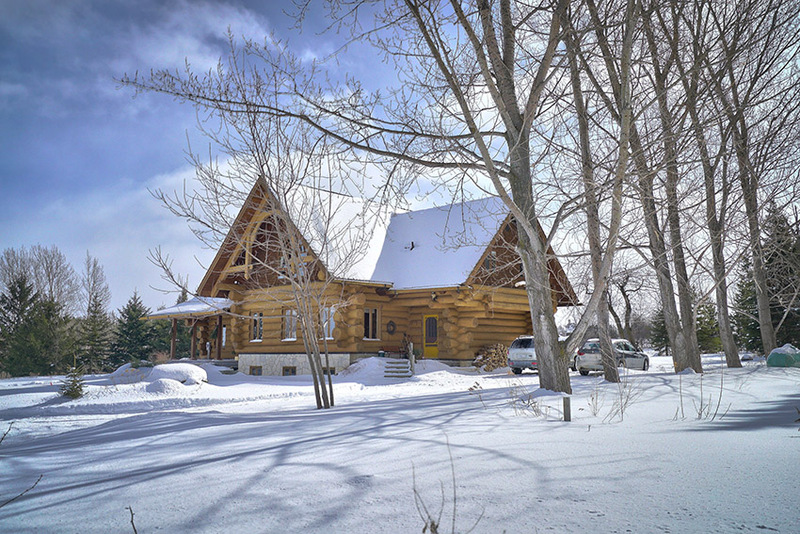 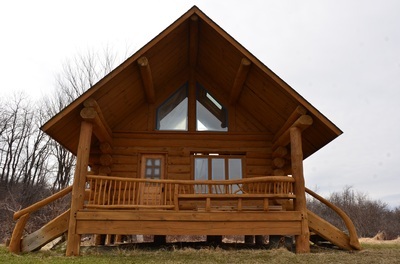 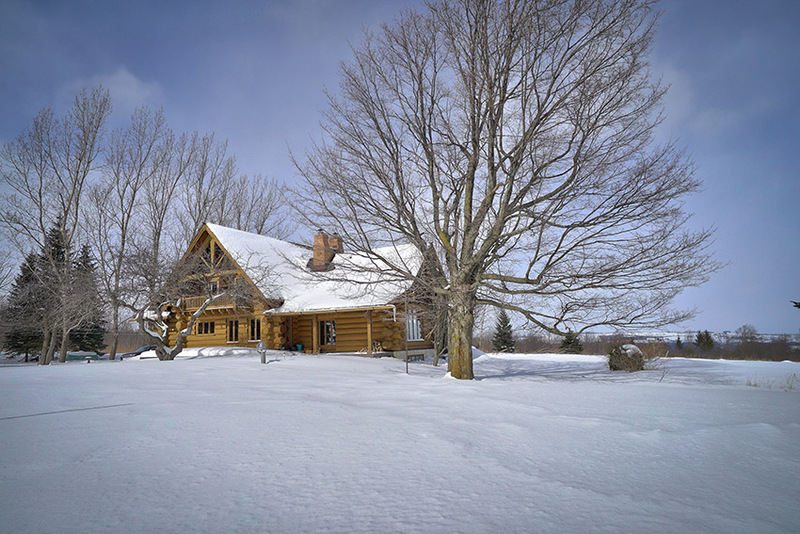 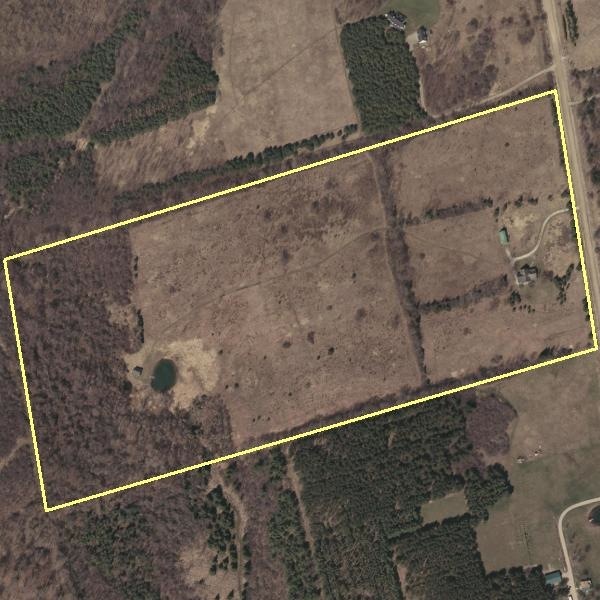 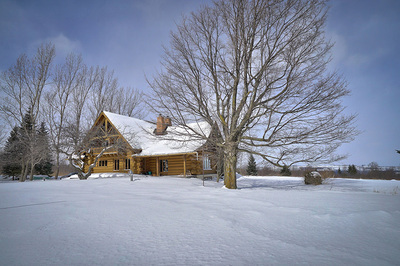 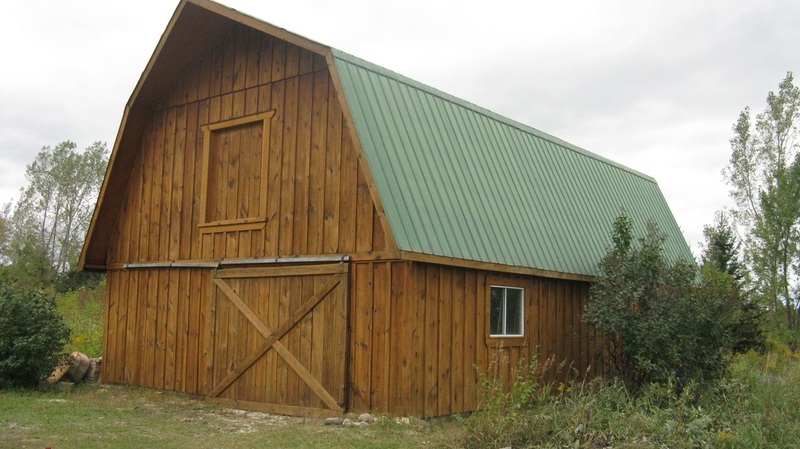 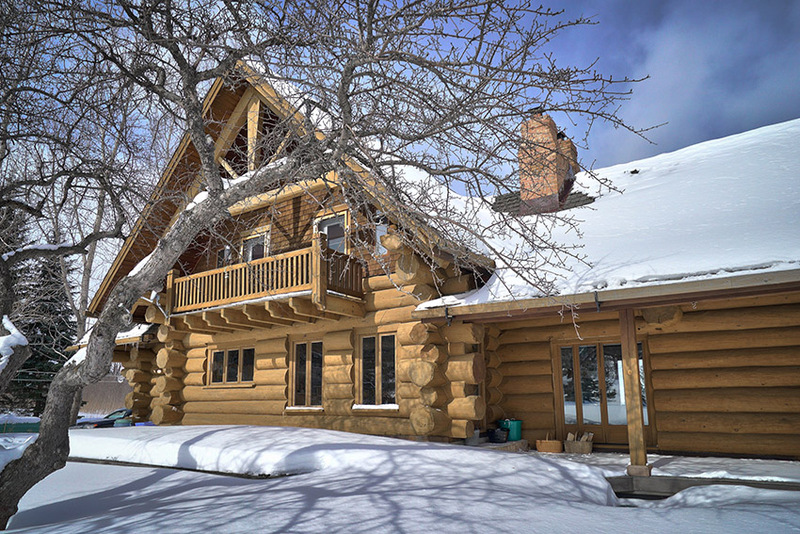 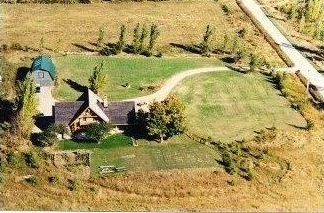 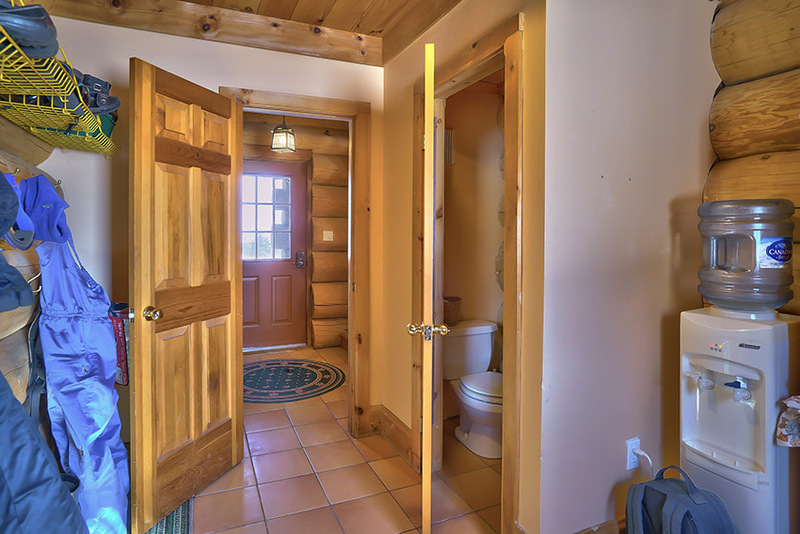 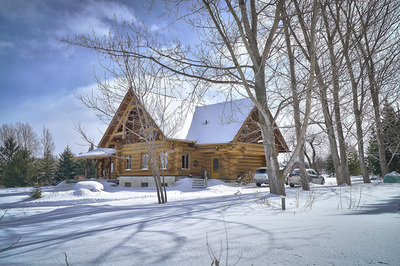 50 acres, 3 km south of the Village of Creemore includes barn & handcrafted log cabin at spring fed swimming pond. 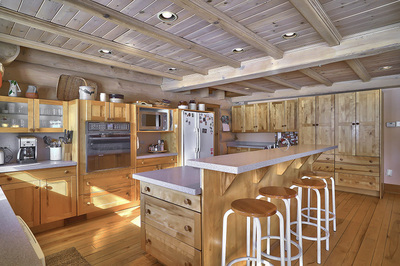 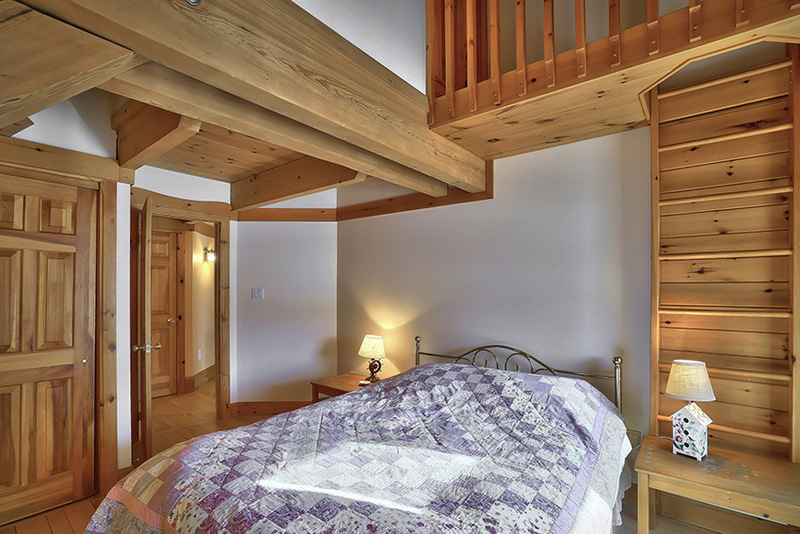 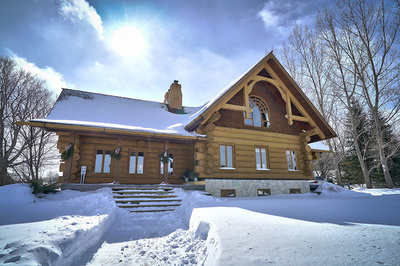 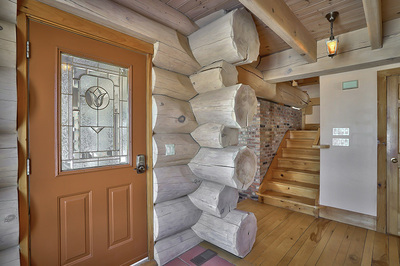 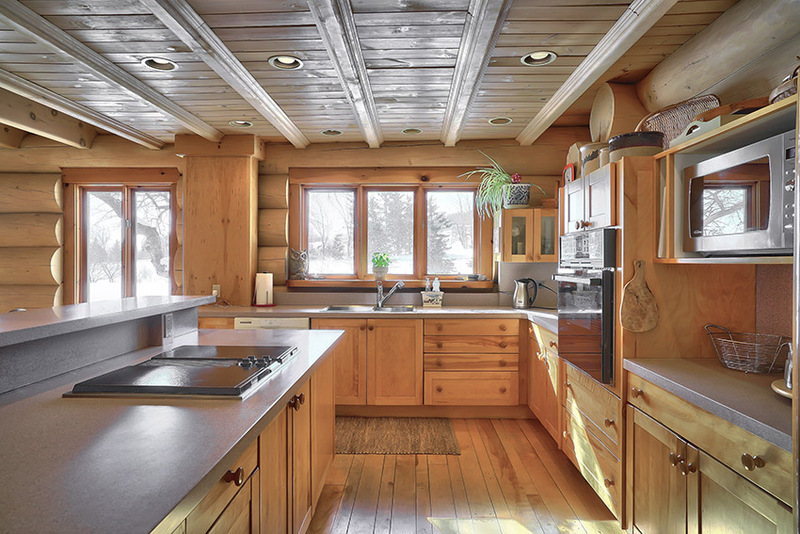 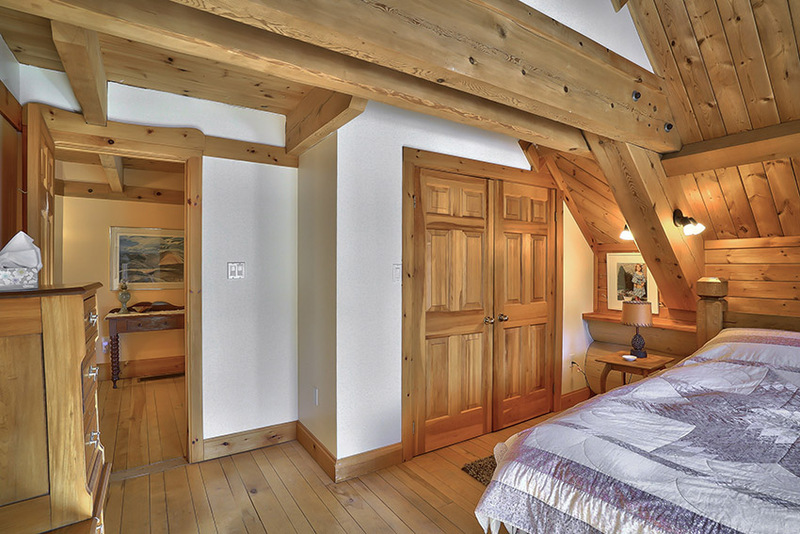 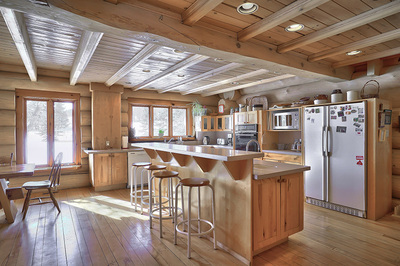 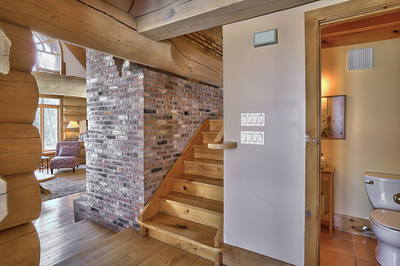 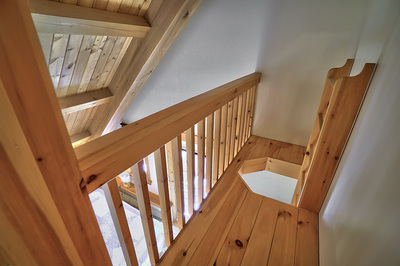 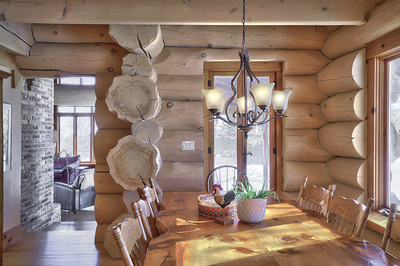 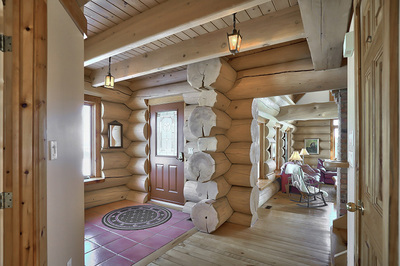 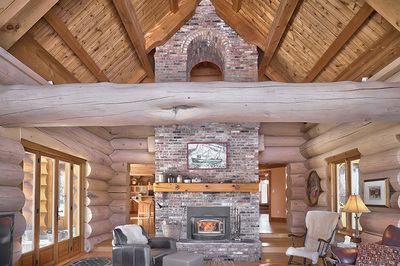 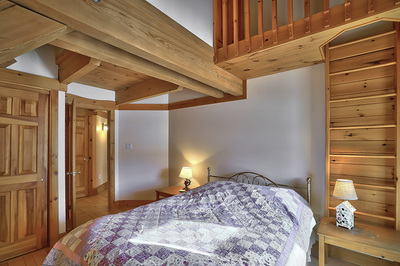 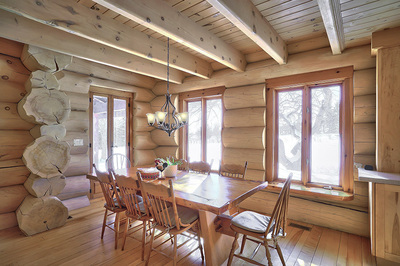 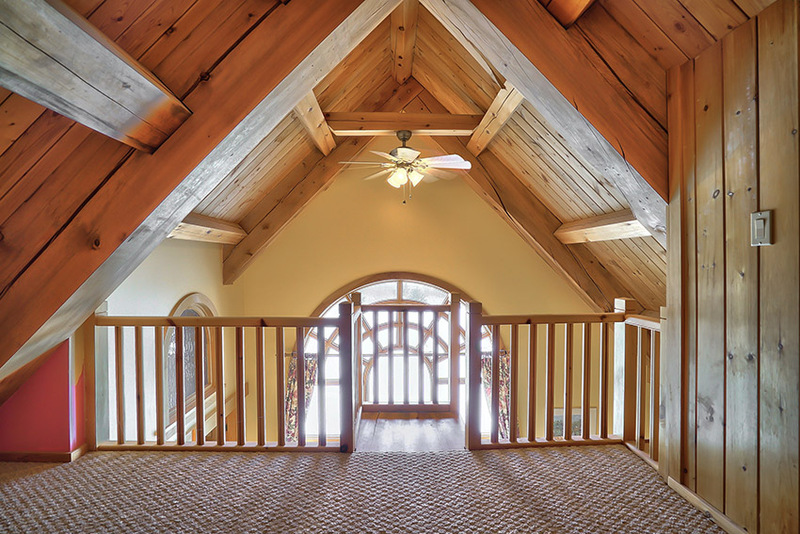 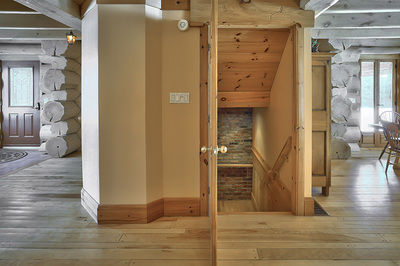 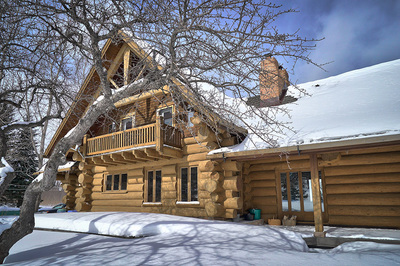 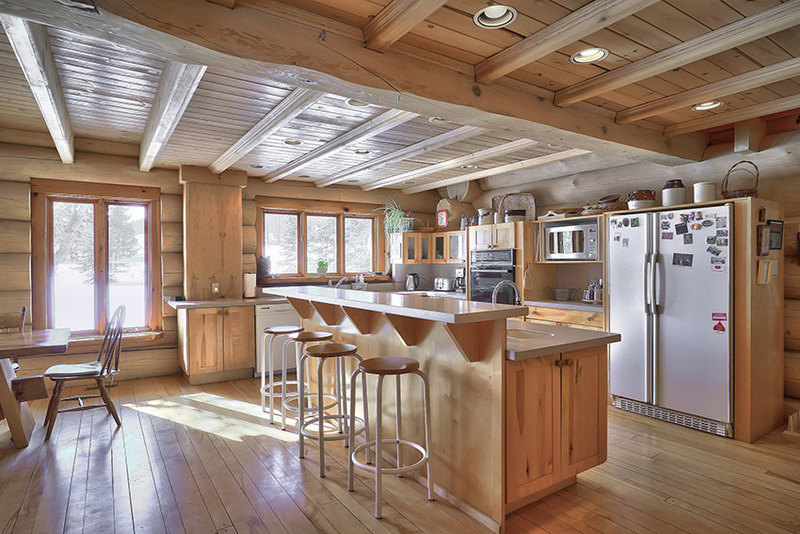 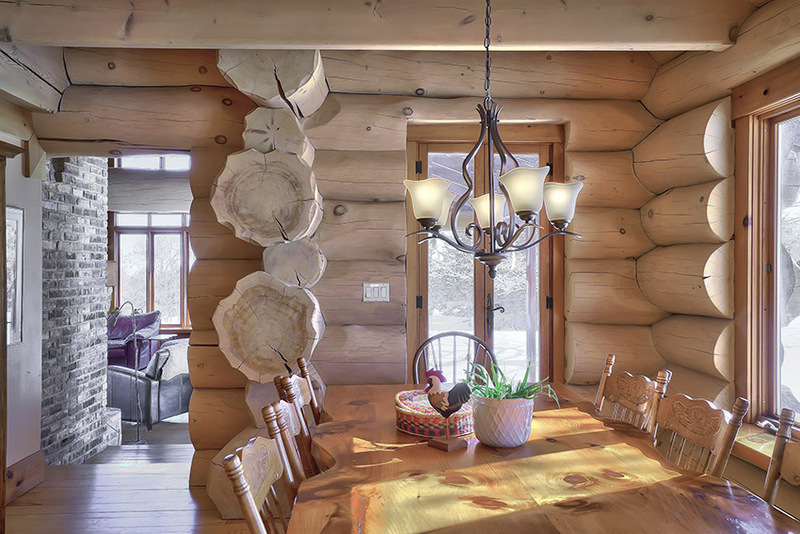 The home is a sculpture of Scribe-fit giant Ontario pine logs and traditional timber joinery by master craftsmen. 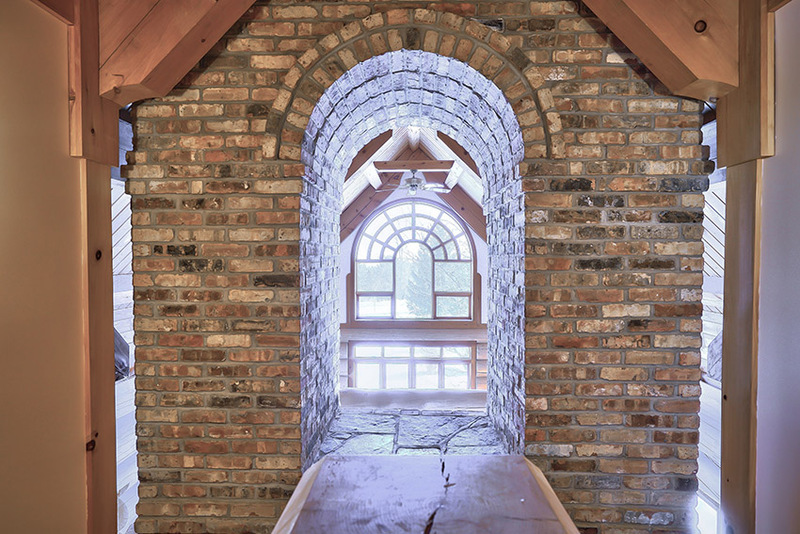 Light filled living room has stunning views from 3 sides, soaring 20 ft cathedral ceiling and window, french doors and full height reclaimed brick fireplace with hearth seating. Entertainers kitchen, generous counter space, prep sink and bar sink, bar top seating. 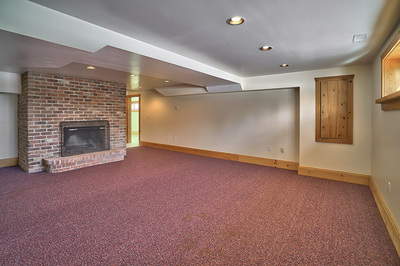 Spacious dining area and 2nd separate dining room. 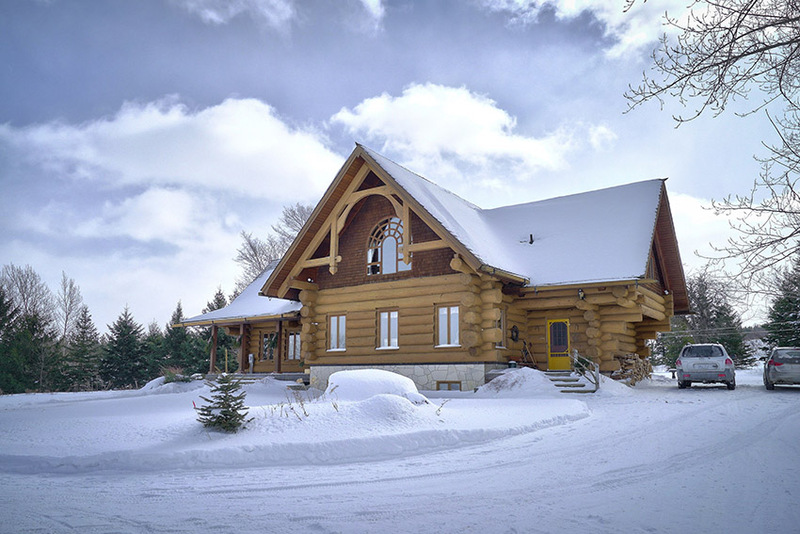 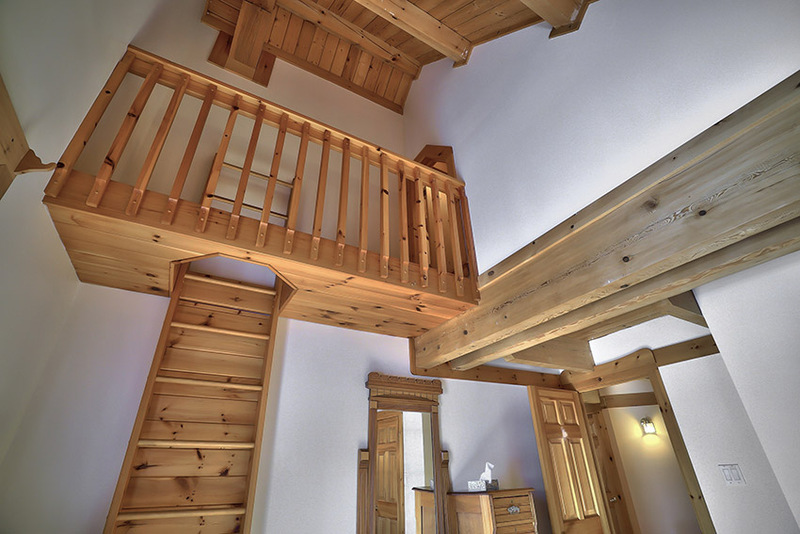 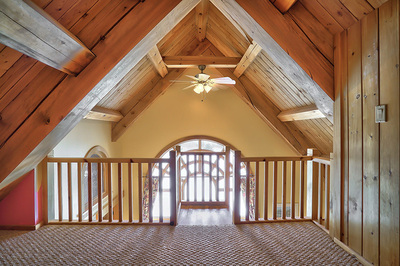 4 bedroom, master with ensuite and yoga loft. 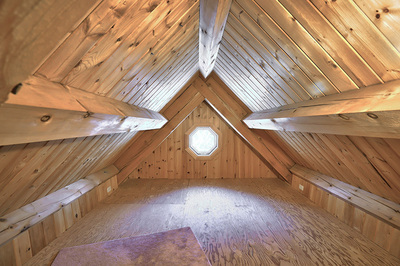 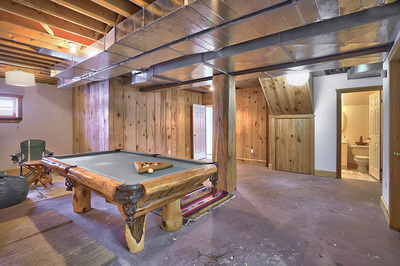 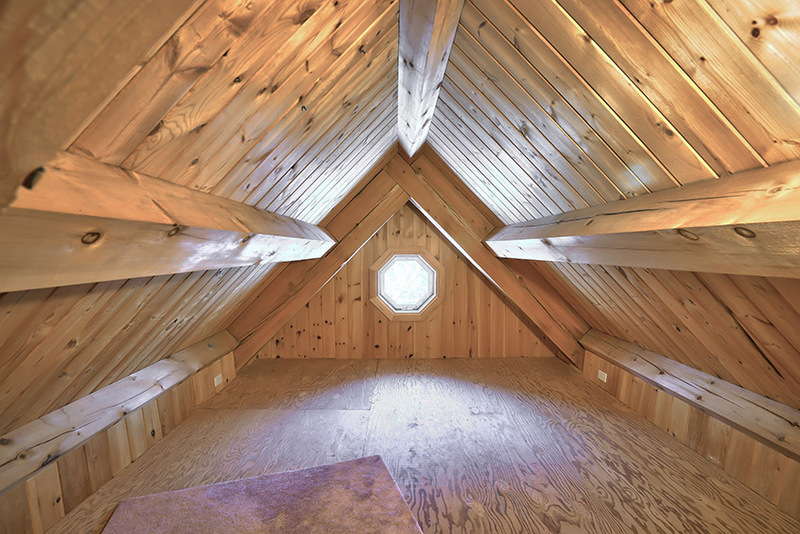 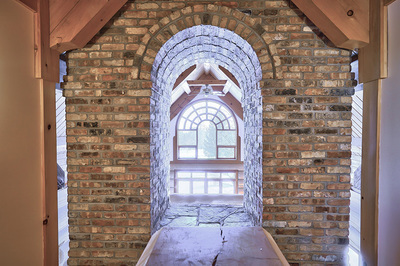 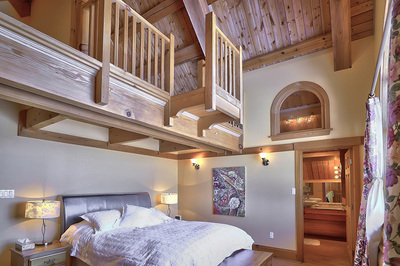 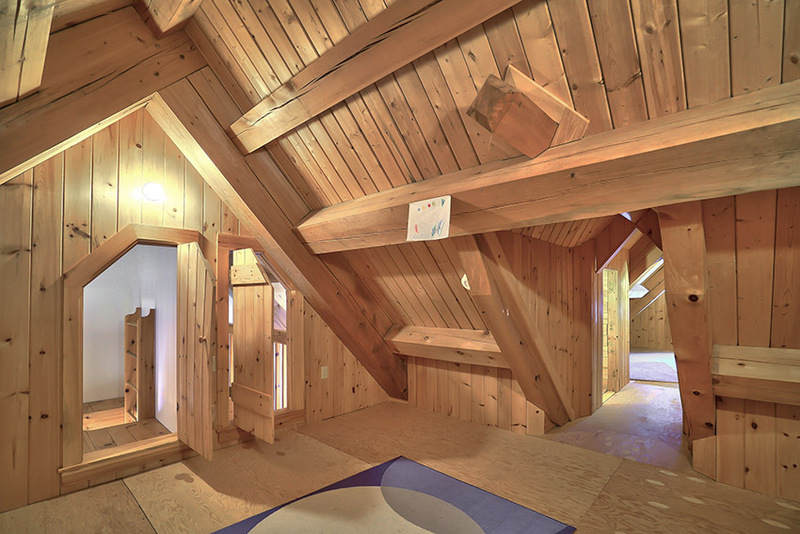 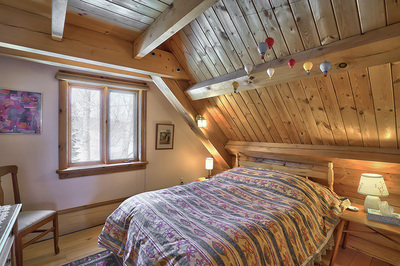 Delightful secret fort/loft space entered from children's bedrooms. 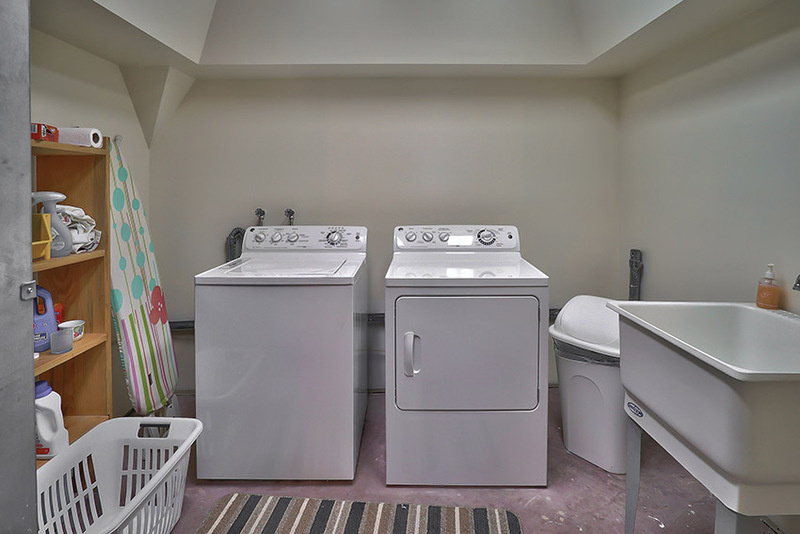 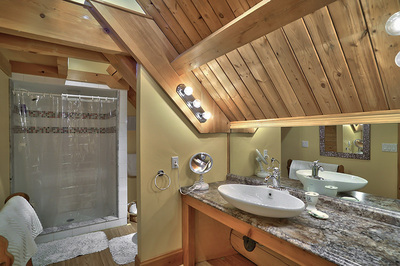 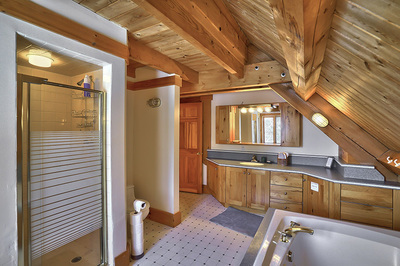 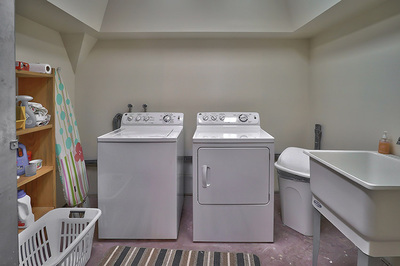 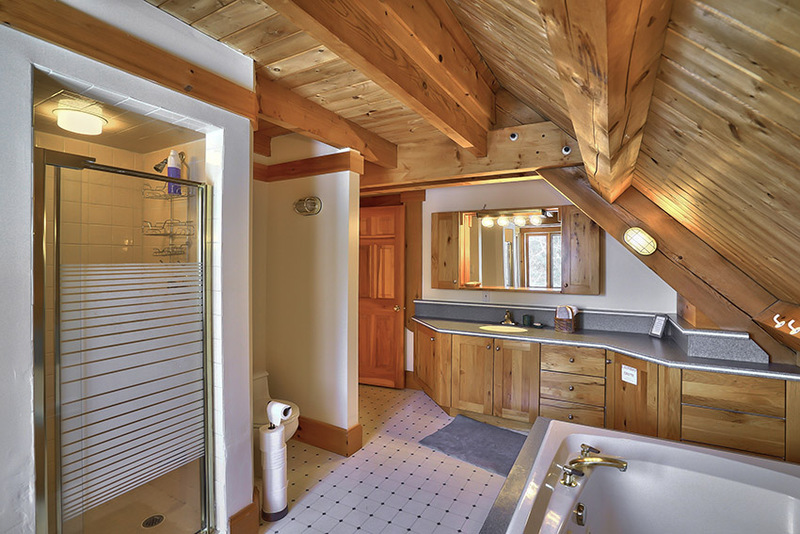 Jacuzzi tub, laundry chute, central vacuum, Geo-thermal heat and air.